I am especially vivacious when it comes to massage and dermalogica. I love hearing from my pregnant ladies that they have slept the whole night through after one of my treatments, great job satisfaction! I look forward to welcoming you for one of our services at Mint, home of the trendy! Starting at the age of 13, I have already gained 8 years experience in the hair industry. 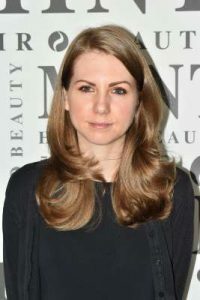 Qualifying in tottenham court road, i now specialize in colour and have a great eye for creating the perfect colour contour for my guests. 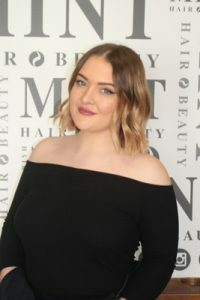 My favourite technique is freehand balayage, creating natural, low maintenance and beautiful lived in colour. 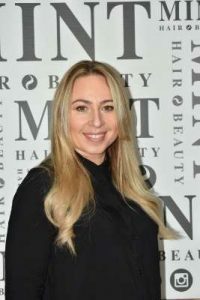 My knowledge and expertise will make it perfect for your personality, life style and face shape and i’m proud to say I am now Mints colour expert. 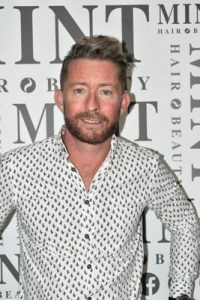 Having never worked in another salon, i am the longest serving team member of the Mint family! I specialize in waxing and i’m very passionate about skin care. After 10 years in the industry, i have a high number of returning clients. I take pride in giving my guests 110% and i like to cater to the individual. 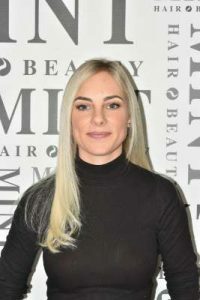 Hi my name is Anna I have 12 years experience in the hairdressing industry working in France, Norway and England. I am extremely passionate about my career. I love working with short hair and natural looks. All my travels have taught me many different skills that I can’t wait to share with you. 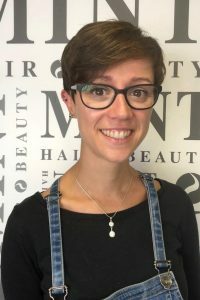 I’ve worked at Mint since 2016 and i’m a fully qualified level 3 Beauty Therapist. I do everything from massage to spray tans but i specialize in all aspects of lashes. Such as semi permanent eyelash extensions and lash lift which are my 2 favourite treatments! 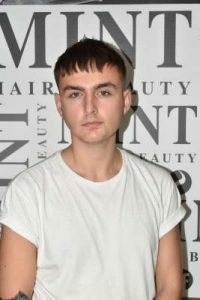 Fully qualified by the age of 17 in Poland, as an all rounder hair stylist, I have expanded my knowledge and techniques over the years to make sure my guests get the best care and service possible. I love doing hair extensions and making amazing changes in hair that’s tired, damaged and broken and turning it into beautiful hair again! If you think your hair needs a bit of TLC book in with me for a consultation! 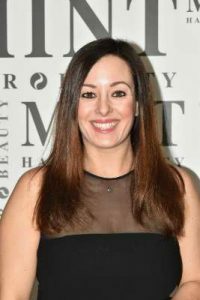 I first started in the hairdressing industry at the age of 16, as i had a passion for it from a young age. Now, with 9 years experience i am the newest member of the Mint family, and excited for things to come! I love to be creative. From short-sharp cuts, long beachy waves to beautiful up-dos. Colour is also a big passion of mine. Ensuring my clients leave happy, with the most complementing colour for their cut, shape, skin tone and personality is my main priority!